Koizumi Yakumo, formerly known as Lafcadio Hearn, spent his final decades in Japan, a country that fascinated and inspired him. As he was unable to fully acquire Japanese language, he coined an interlanguage referred to as ‘Hearn-san Kotoba’. 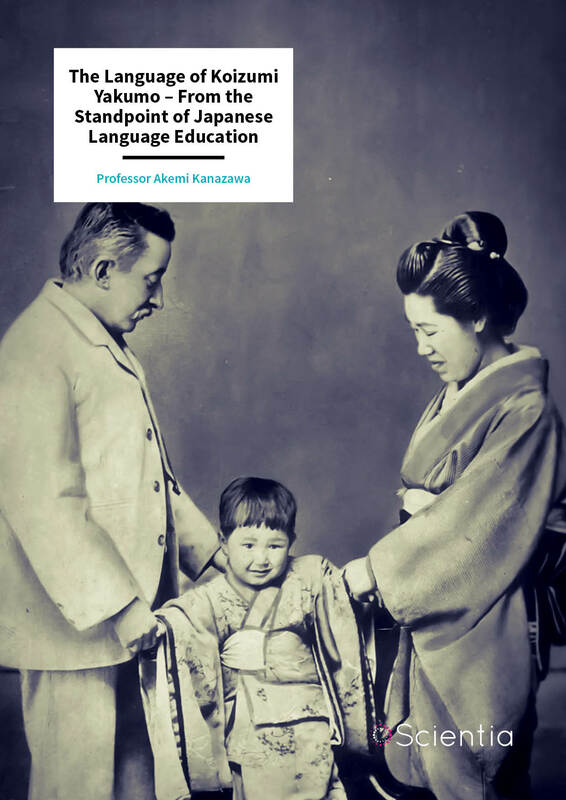 Professor Akemi Kanazawa, a former professor of Mejiro University, Tokyo, has carried out studies exploring this language and its peculiarities, particularly in the context of Japanese language education. Lafcadio Hearn (1850–1904), who later became known as Koizumi Yakumo, was a Greek-Irish writer, renowned for his books, stories and letters. During his life, he settled in various places around the world, including Greece, Ireland, the United States and the West Indies. Hearn spent his later life in Japan, where he wrote several books about the Japanese culture. His late works, such as Kwaidan: Stories and Studies of Strange Things, introduced folklore and ancient Japanese legends to the Western world. As he was never able to fully acquire Japanese grammar, Hearn communicated with his wife Setsu Koizumi and other locals using an ‘interlanguage’, which he called ‘Hearn-san Kotoba’. In one of her notes, his wife Setsu wrote: ‘Being fond from my girlhood years of old tales, I began telling him long Japanese old stories, which were not easy for him to understand, but to which he listened with much interest and attention. He called our mutual Japanese language “Hearn-san Kotoba” (Hearn’s language).’ Initially, Hearn communicated with his wife in broken Japanese, while Setsu tried to adjust her language so that he could understand it. Hearn’s unique ‘interlanguage’ was a product of several years of communication with Setsu. In linguistics studies, the process through which this language was established is referred to as pidginization. Pidginization occurs when a language is transformed into a simplified form of speech, characterised by a rudimentary grammar and vocabulary. This simplified speech is typically used as a means of communication between individuals with different native languages. From a linguistic point of view, ‘Hearn san Kotoba’ is an interesting topic of study, as it essentially stems from continuous interactions between two foreign individuals. Fascinated by this language and its peculiarities, Professor Akemi Kanazawa has carried out a series of studies, analysing it from a Japanese language education standpoint. In her studies, Professor Kanazawa analysed extracts from Hearn’s letters and from his wife’s written memoirs. She observed that Hearn’s Japanese was highly influenced by English, his native language. 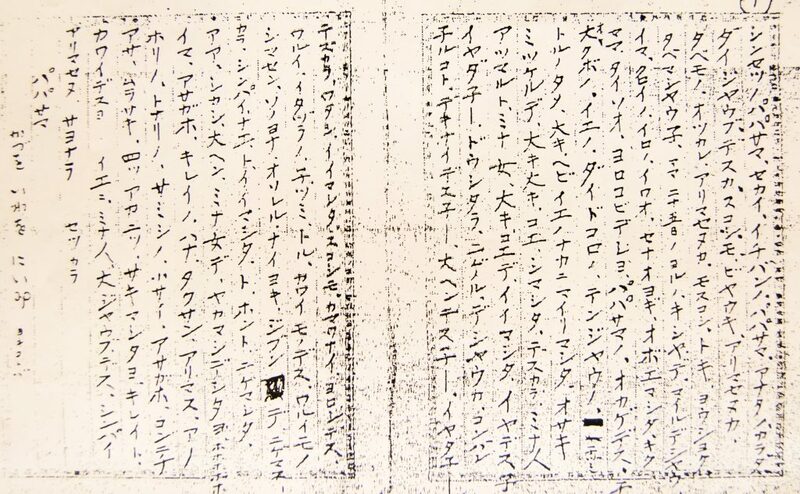 ‘Judging from Hearn’s letters in which written Japanese remains and Setsu’s memoirs Omoide no ki, in which spoken Japanese remains, it can be inferred that Hearn’s Japanese is much interfered by his mother tongue English, in both aspects of syntax and expression,’ Professor Kanazawa wrote in one of her papers. When Hearn taught English to his son, Kazuo, the Japanese he used was often a literal English translation. For instance, he translates the sentence ‘It is a dog’ as ‘Sore desu ichi-inu’ (‘Sore desu’ → It is; ‘ichi inu’ → a dog). However, in standard Japanese, this would be translated as ‘Sore wa inu desu’. ‘Hearn-san Kotoba’ also removes redundancies associated with standard Japanese grammar. Professor Kanazawa found that Hearn used a total of approximately 150 verbs without conjugating them, as a Japanese speaker would. In his letters and verbal communication, Hearn used verbs in their ‘dictionary form’, without conjugating them, but instead adding a ‘desu’ auxiliary verb to show polite nuance. According to Professor Kanazawa, Hearn’s frequent use of polite expressions could have been an influence of his wife Setsu, as her family had samurai antecedents and would have often communicated using such expressions. Japanese verbs fall into three main categories: I-group, II-group and III-group. III-group verbs only include the verbs ‘suru’ (to do) and ‘kuru’ (to come). Professor Kanazawa observed that Hearn often used these verbs improperly, for instance adding a variety of improper nouns before ‘suru’, like in standard Japanese (e.g. ‘benkyo-suru’ → to study), and coining entirely new expressions. He also used ‘aru’ (there is), which Japanese speakers only use when referring to inanimate objects, to refer to animate things. He also used it as a word with many different meanings. ‘When we, Japanese people, talk to non-native speakers of Japanese, we make effort to simplify the language as much as possible for smoother communication, such as non-conjugation of verbs and adjectives,’ Professor Kanazawa wrote. When Setsu communicated with Hearn in person, she used a simplified version of Japanese, which is linguistically referred to as ‘foreigner talk’. She also used a simplified written version of Japanese, referred to as ‘foreigner writing’. In her studies, Professor Kanazawa observed that Setsu’s foreigner writing had greater peculiarities than her foreigner talk. For example, in her foreigner writing, Setsu often simplified the structure of her sentences and yet expressed their content in great detail. For instance, she often used onomatopoeia and mimetic words to better convey the details of a given scene. According to Professor Kanazawa, Hearn drew inspiration from Setsu’s use of onomatopoeia and mimetic words. In their writing, they both used mesmerising expression that conveyed rich feelings. As Hearn could not read Japanese books by himself, Setsu would often tell him tales and legends, some of which became the inspiration for his works. Both Setsu’s foreigner talk and foreigner writing differ greatly from simplified versions of Japanese that are used in today’s education system. In a sense, it appears that she adjusted her language to match Hearn’s own ‘version’ Japanese. 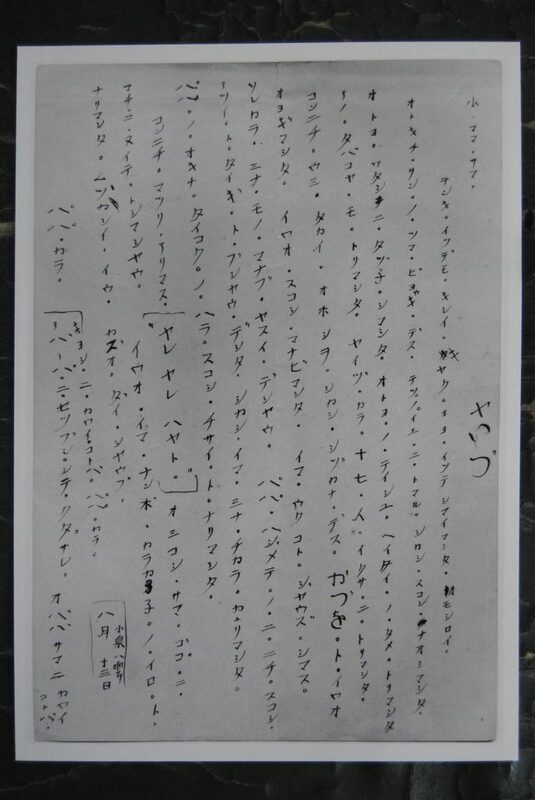 Setsu’s letter to Hearn, August 23rd, 1904. Koizumi Toki ‘Hearn and I’ Kobun-sha 1990. For two years of his life (1887–1889), Hearn lived on the island of Martinique, in the French West Indies, where he grew fond of the Creole language and culture. As he spoke fluent French, he most likely acquired knowledge of Creole, which is essentially a hybrid version of French. According to Professor Kanazawa, Hearn’s time in the West Indies might have influenced how he later approached the Japanese language. On the 4th of April 1890, when he had just arrived in Japan, Hearn sent a letter to Basil Hall Chamberlain expressing his wish to learn Japanese and to understand its emotional nature. On the 25th of July 1891 he wrote another letter, expressing doubts about whether he would ever be able to learn such a complex language. Hearn’s work ‘From the diary of an English teacher’ suggests that Hearn had acquired Japanese systematically, as he understood that it was very complex and differed greatly from western languages. In his Japanese writing, he consistently omitted long vowels, for instance writing ‘kawai’ instead of ‘kawaii’, which shows that he most likely learned Japanese by listening to it. Hearn’s son, Kazuo, expressly stated that his father’s Japanese was not truly Japanese; rather, it was a form of Japanese that almost nobody could understand. When he taught English to his son, Hearn used a textual translation method, often asking him to read sentences aloud until he pronounced them correctly. This method, also referred to as ‘Audio Lingual Method’, gained popularity in Japanese language education between the 1960s and 1980s. In his teaching, Hearn used two main translation methods: literal and free translation. An example of literal translation is ‘gallop-a-trot’, which he translated as ‘tobasu (gallop) ichi (one) jinori (trot)’. Free translation, on the other hand, reproduces the general meaning of a given text without retaining its original form. Both literal and free translation methods have been proposed by other academics as techniques for language learning. For instance, Heinrich Gottfried Ollendorff published a grammar exercise book that included both literal translation and free translation examples. In Japan, literal translation was first used in education by Nakahama Manjirou. Professor Kanazawa’s research into ‘Hearn-san Kotoba’, a pidginized Japanese language coined by Lafcadio Hearn, offers valuable linguistic insight that could inform Japanese language education. Her studies suggest that Hearn acquired his own version of Japanese orally, by listening to native speakers and interacting with them. 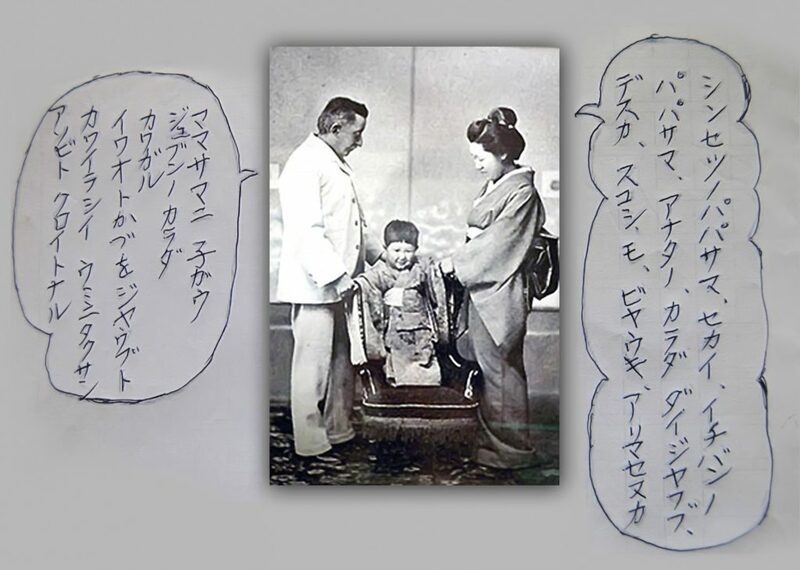 Professor Kanazawa found that ‘Hearn-san Kotoba’ has both English and Creole influences, yet it is also stylistically attuned with Hearn’s wife’s foreigner talk and foreigner writing. Although some academics have criticised the use of simplified and pidginized versions of Japanese, in 1994 Kikuo Nomoto and the team of the National Institute of Japanese Language published a 6-year long research on ‘Creation of Simplified Japanese and development of teaching materials’. Earlier, in 1956, cultural anthropologist Tadao Umesao proposed that Japanese language is no longer for Japanese people only. Umesao wanted Japanese people to be generous with Japanese language used by foreigners, and to try to understand their unusual expressions and vocabularies. He asked for people to think seriously about opening the Japanese language to the world, and accept the existence of Pidginized Japanese. In view of the above, Professor Kanazawa believes that there are mutual ideas and thought between the efforts of Setsu and Hearn, and academic work including that of Umesao and Nomoto. Professor Akemi Kanazawa, a former professor of Japanese Language Education at Mejiro University, Tokyo, studies the relationship between foreign Japanese language learners’ interlanguage and its pidginization process. Professor Kanazawa was also involved in establishing the 3-year Japanese diploma course at National North Sumatera University. 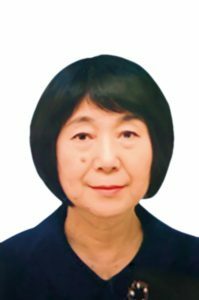 She has carried out extensive research in the fields of linguistics, comparative teaching methodology and Japanese education history, published books and papers and taught a variety of subjects. Her research has included studies into Koizumi Yakumo’s pidgin Japanese, and the ‘Yokohama Dialect’, a typical pidgin used in Yokohama settlement. Professor Kanazawa has given presentations at various institutions, conferences and symposiums, the latest being at The Matsue International Symposium, commemorating the centennial of the death of Koizumi Yakumo.